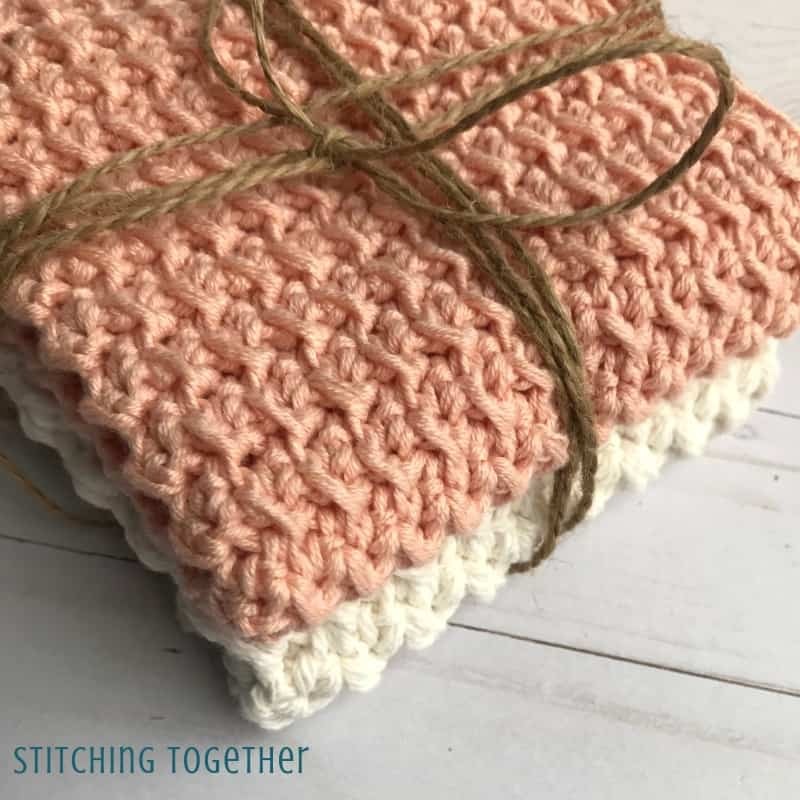 If you are looking for a crochet pattern for a washcloth, you are in luck; there are TWO free crochet washcloth patterns right here! The stitches are the same, but the yarn sizes are different which gives you two totally unique looking washcloths. 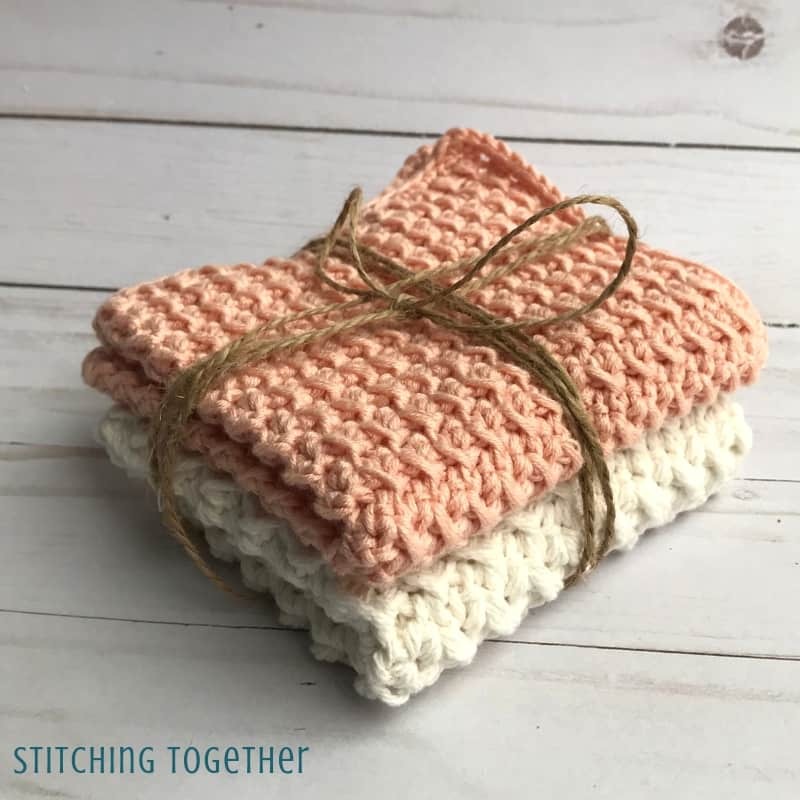 The softer and lighter washcloth works wonderfully as a baby washcloth while the thicker one can be used as a washcloth or dishcloth. 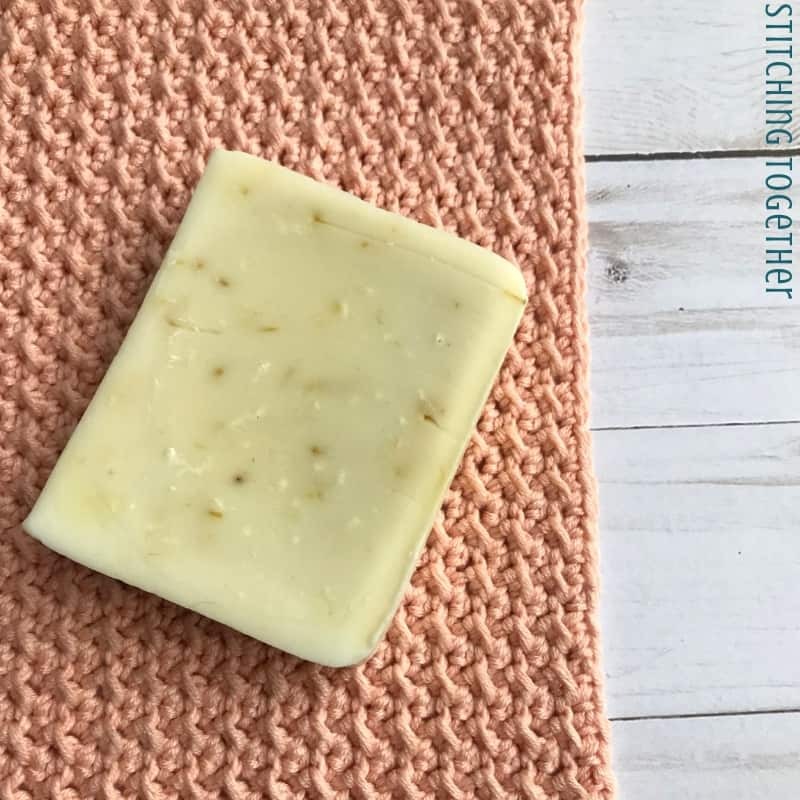 They would be lovely paired together with your favorite bar of natural soap as a thoughtful and simple gift. Or make a stack of the baby washcloths as a special gift for a new baby. Are you ready for gift giving season? Be sure to check out the Best Gifts for Crocheters for under $25! 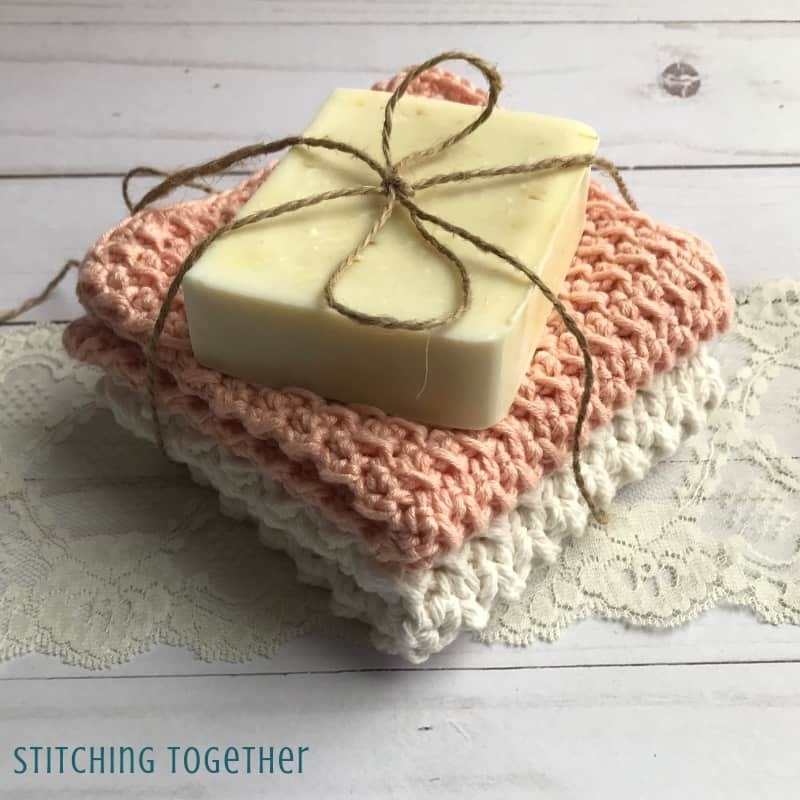 What is the Best Yarn for Washcloths? For regular crochet washcloths or dishcloths, I am a huge fan of Lily’s Sugar and Cream cotton yarn. It is inexpensive and so durable. It softens as it is washed and used and it is machine washable and dryable. So far Premier Yarn Cotton Fair is one of the best yarns for baby washcloths that I have found. It is so soft, easy to work with and gentle enough for a baby’s sensitive skin. It isn’t 100% cotton but a blend of cotton and acrylic which makes it soft and durable. Other light, soft cotton or cotton blends would work well also. 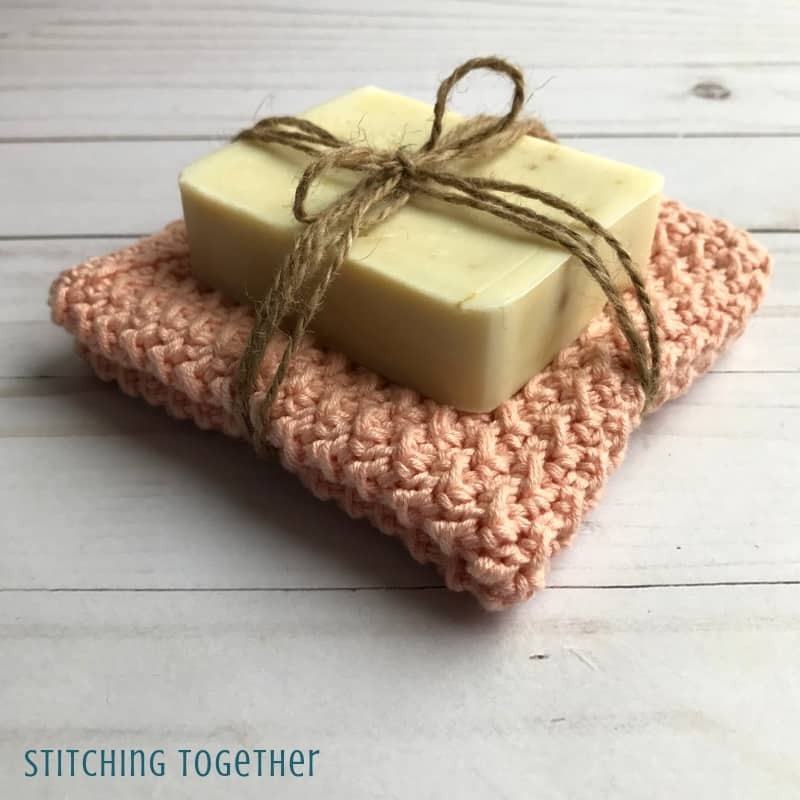 What is the Best Size for a Crochet Washcloth? 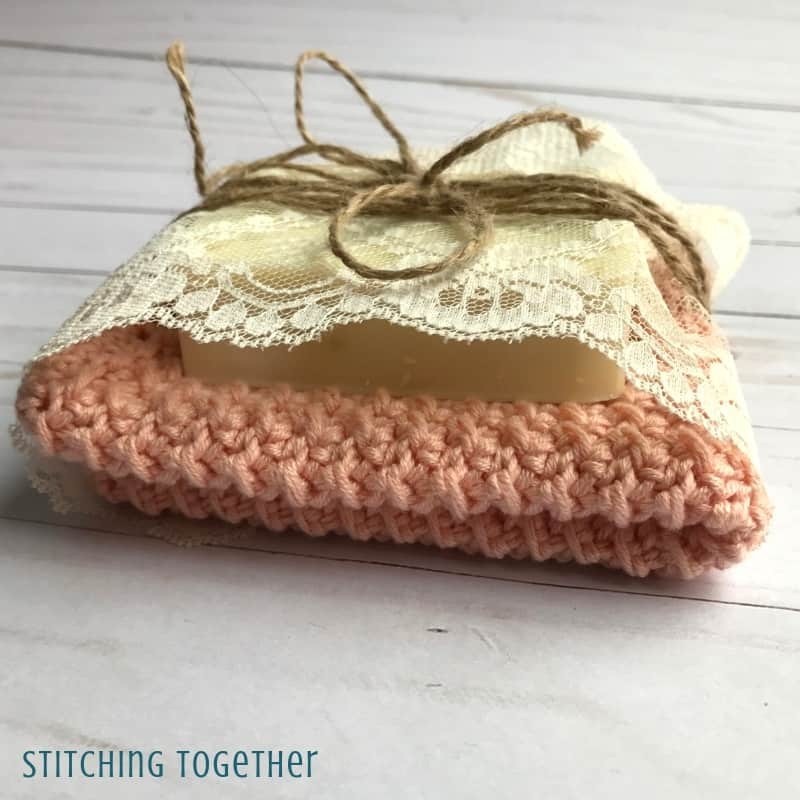 Washcloth sizes are really a matter of preference and the great part about making your own washcloths is that you get to choose the perfect size. 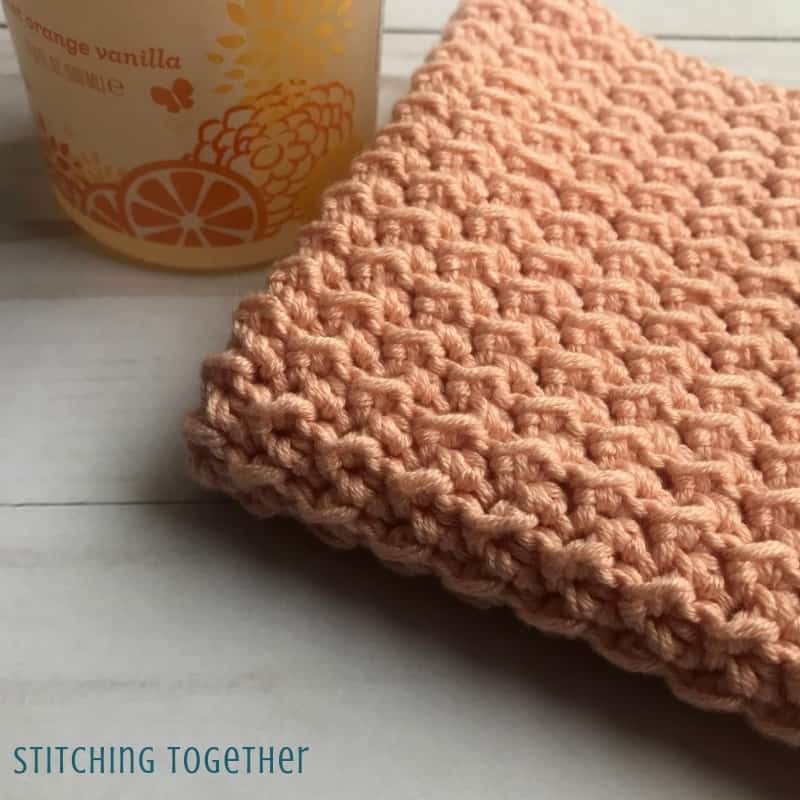 Most store-bought washcloths seem to range in the 10″-13″ size, but I like a washcloth that is only a little bigger than my hand so 8″-9″ works best. 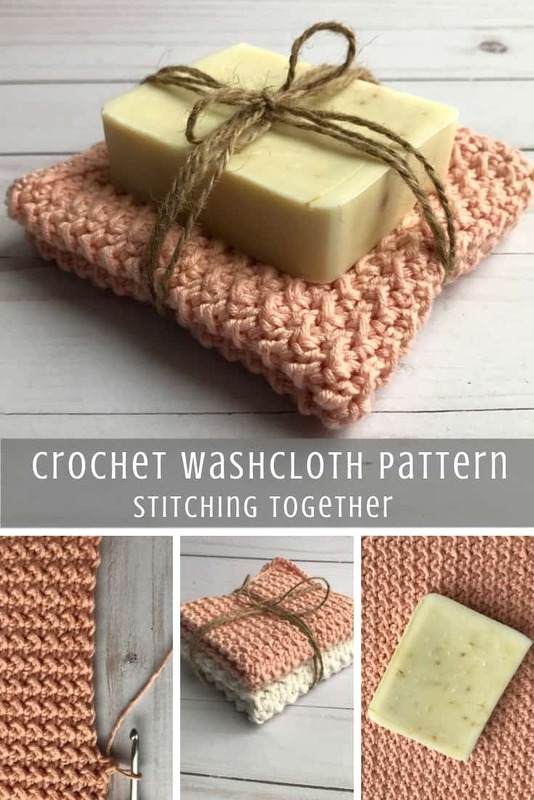 Save these crochet washcloth patterns on Pinterest! 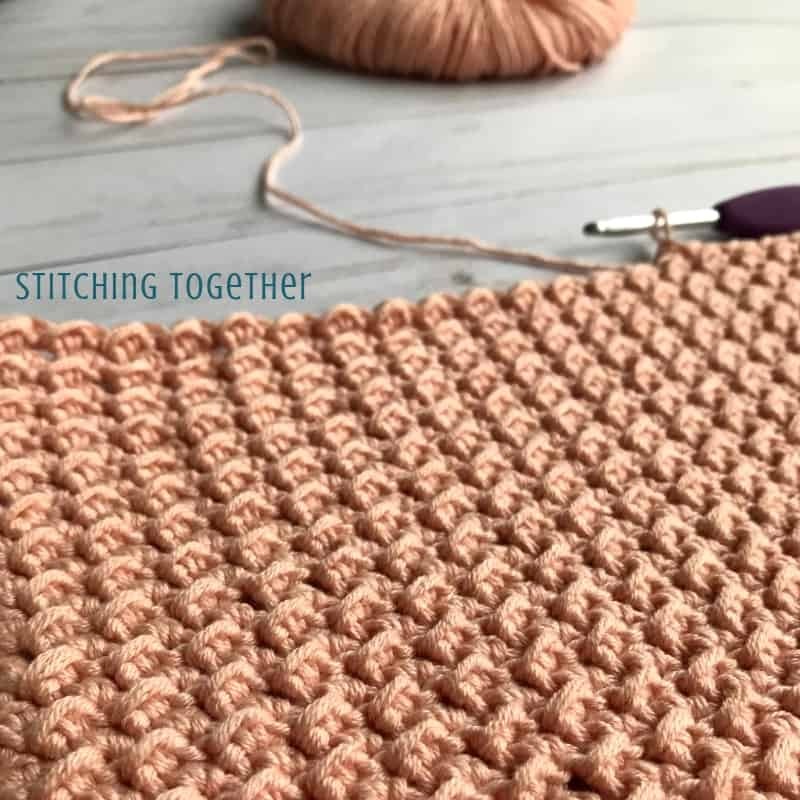 Before getting started on the washcloths, be sure to review the crunch stitch crochet tutorial which has written instructions and step by step photo instructions to help you with the stitch. R1: sl st into the 3rd ch from hook, *hdc in next ch, sl st in next ch, repeat from * to the end of the row, turn. Border: ch 1, sc around all sides of the washcloth placing 3 sc in each corner. When working down the sides, space the scs so there are 3 sc for every 2 rows. Fasten off and weave in ends. My personal favorite cotton for baby washcloths is Appalachian Baby organic cotton. It’s definitely more expensive than Premier or Sugar and Spice, but it’s super soft, and the cotton is grown exclusively in the US, plus it’s available undyed, which is great if there is concern about skin sensitivities. Amanda! Thanks so much for sharing that. I forgot to ask it but was hoping people would share if they have other recommendations especially for baby washcloths!